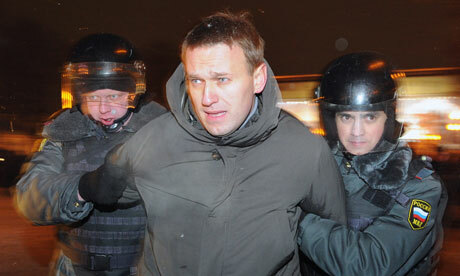 I wanted to make a quick initial observation about today’s Moscow mayoral election. 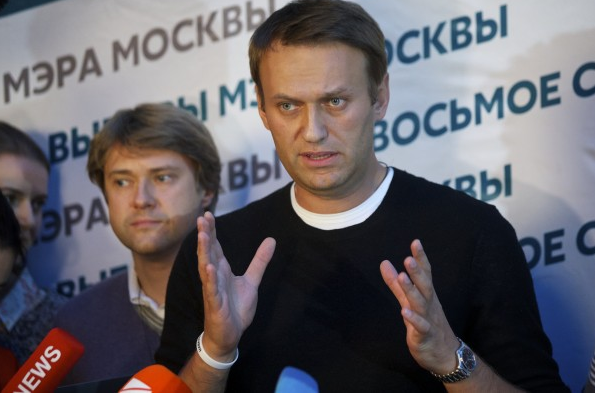 The exit polls are showing the opposition leader Alexei Navalny doing better than expected at close to 30% of the vote, but losing handily to Putin ally and incumbent Sergei Sobyanin. The key figure here to watch, however, is Sobyanin’s share of the vote, which is currently being estimate in some exit polls as running around 52-53%. The reason the exact level is important is that the Moscow mayoral election uses a two-round majoritarian voting rule, meaning that if Sobyanin gets more than 50% of the vote, he avoids a second round run off in which he would have to go up against only Navalny. Although Navalny is losing handily in the first round, with Sobyanin’s support hovering just north of 50% it is by no means assured what would happen in a second round, especially as turnout can change across the different rounds of the election. But equally importantly, these looks like the sorts of results that could trigger post-election protests if there is suspicion of electoral fraud (and Navalny is claiming his exit polls show Sobyanin’s support at 46%). The reason here is that although the actual results are not that close, Sobyanin being so close to 50% may lead voters to think that fraud tipped the outcome of the election in favor of the incumbent. As I have argued previously in an article in Perspectives on Politics, these types of elections can be especially conducive to protest because (a) they create an expectation that other people my also be protesting, thus lowering the potential cost to any individual of joining a protest while at the same time (b) they hold open the promise of a real benefit to protesting, i.e. potentially changing the outcome of the election. There are two important caveats to consider. First, I have yet to see accusations of electoral fraud in this election – at the moment there are simply different claims as to what exit polls show the results should be. However, these are precisely the types of situations that can lead to accusations of electoral fraud later, and recent Russian elections have certainly not been immune to charges of electoral fraud. The second caveat is potentially more important, which is that the argument I made was in the context of national elections, where protest could really “throw the bums out”. We don’t yet know if similar dynamics are likely to be at work in election for a regional office. That being said, the mayor of Moscow, a city of 12 million people and the center of the Russian state, is about as important a local official as they come. And to be clear, there are plenty of other reasons why people might not protest. There could be protest fatigue from the 2011-2012 Russian protests. There could be a fear of a harsh crack-down from security forces. There could be a sense that even if the first round results are overturned, the result will be just be the same in the next round. Or people could trust that the results are correct. (Or, still unknown at the time of this writing, the official results could even place Sobyanin below 50%, which I think would definitely not trigger protests.) But at this moment, past examples suggest that at the very least conditions are ripe for post-election protest should Moscovites sufficiently value the outcome of this peculiar “local” election. Civil resistance involves unarmed people using a combination of actions, such as strikes, protests, sit-ins, boycotts, and stay-away demonstrations, to build power and effect change…. Although there is no set formula that guarantees success, from 1900 to 2006, the single most important factor was wide participation. The larger and more broad-based the campaign was, the more likely it was to succeed. 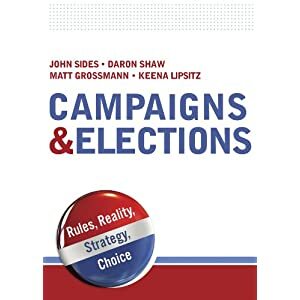 In fact, all of the other factors associated with success—elite defections and the backfiring of repression—seemed to depend in part on the size and diversity of the campaign to begin with. That all makes sense: large campaigns are more likely to seriously disrupt the status quo. Diverse campaigns are more likely to be perceived as representative, hence legitimate. Take, for example, Egypt in 2011. Small protests that began on January 25 soon escalated. They came to involve millions of Egyptians from a remarkable cross-section of society. President Hosni Mubarak attempted to disperse protestors occupying Tahrir Square, but he soon found that his own security forces were unreliable. Many simply ignored his orders and others joined the protests outright. Contrast that example with the recent Muslim Brotherhood-led sit-ins. Those involve primarily young men, whose claims to legitimacy are contested. Although these civilians do have allies among the Egyptian population, they do not boast the same numbers as the Tamarod movement that ousted Morsi, which had its roots in earlier anti-Mubarak sentiment. And whereas Tamarod assembled tens of millions of signatures calling for Morsi to step down and led influential government elites to defect, the pro-Morsi faction has not. One of the most dangerous misconceptions about civil resistance is that several weeks of street demonstrations or sit-ins can bring about major systemic change. On the contrary, the average civil resistance campaign takes nearly three years to run its course. Although three years might sound like an eternity, the average violent campaign takes three times longer and is twice as likely to end in failure. History shows that civil resistance campaigns tend to succeed when they build the quantity and quality of participants, select tactics that provoke loyalty shifts among ruling elites, prepare enough to maintain nonviolent discipline, and skillfully change course under fire to minimize the damage to participants. All of this takes time, organization, preparation, and a good deal of strategic imagination. The full piece – definitely worth a read – is available here. What happened in Egypt was a military coup. I understand why Egyptian and US officials are afraid of that word because a coup should mean a US aid cutoff (it won’t) and a coup sounds like a bad thing. What should you do if you think an illiberal executive is trying to close off the possibility of genuine competition for power? Tricky. But what happened clearly meets the definition of a coup. That said, this is an unusual case because it was matched, really preceded by, a huge mass mobilization on the part of the Egyptian people. I am not sure what precedent we have for that (any ideas? ), and I think those millions who mobilized have a right to think they drove the train and compelled the military to step in. 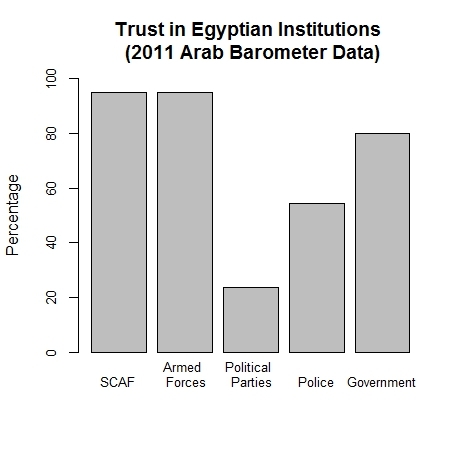 In other words, the fact that it fits as a military coup does not preclude the perception from developing among the popular anti-Morsi movement – millions of people – that it was somehow different from your average military coup and the military’s role was secondary, a tool of the people. Going forward, the crucial barometer is how the Muslim Brotherhood community, on the one hand, and the military and anti-Morsi factions, on the other hand, relate to each other. It is a major test of whether Egypt can create an inclusive, if heated, political arena. I’ll go so far as to say if that works out halfway okay, I am optimistic and if not, more serious political troubles lay ahead. (If you need a big dose of pessimism on Egypt, read this by Marc Lynch.) I agree with Ashraf Khalil: “Exactly how the Brotherhood will react to this maneuver now becomes the most crucial and immediate question facing Egypt.” And Nathan Brown offers some excellent possibilities for the lessons the Brotherhood might learn. But it is not just what the Brotherhood does, it is also how the regime treats the Brotherhood. The relationship will be interactive and so what both sides do toward each other matters very much. My initial (slim) hope is that Egypt’s new government and the military will try to co-opt the Brotherhood and its supporters rather than silence or crush them. That is easier said than done for two reasons. First, both sides are battling to define what just happened. The battle of the narratives, as Nugent and Jamal noted: “Military intervention in Egypt will be seen by supporters of the Morsi government as a coup, and by opponents as a restoration of political order.” For the government and military, it is tempting, probably too tempting, to clamp down on the Muslim Brotherhood so that it does not get a fair chance to define what happened. Egypt’s new government will have a much easier time defining the story of June 30 if the other side is not able to talk. Early reports indicate the regime has already blocked many MB news and information outlets. Second, Morsi et al will say things and call for actions that are quite alarming to the government. As Shadi Hamid pointed out to me, can the military really take a hands-off approach with Morsi “if he’s going around calling on military officers to mutiny…”? Unlikely. It will be hard to ignore the guy(s) shouting fire in the crowded theater. As a result, arresting, scaring, and hurting Brotherhood leaders is an obvious option. We traditionally, and rightfully, look at a coup as an event that undermines democracy. Is that traditional sentiment applicable here? In the coming months, we will learn whether this military intervention was any better conceived and thus effective at protecting minority rights, creating space for genuine and lasting political competition, and, more broadly, helping Egypt move forward. The Rio Protests: Who, What, Why, and Will They Matter? This is a guest post by Nicholas Barnes, a PhD candidate in political science at the University of Wisconsin-Madison. His dissertation project examines the governance practices of non-state armed actors in the favelas of Rio de Janeiro. He is currently in Rio carrying out fieldwork with the support of the Drugs, Security and Democracy Fellowship Program, the SSRC-International Dissertation Research Fellowship, and the National Science Foundation. A longer version of this post is here. In recent weeks, millions of Brazilians have displayed their frustration and disillusionment with the political system through popular protest. But despite the fact that a majority of Brazilians support the protests, the movement remains fragmented and diffuse. The list of demands and grievances continue to grow and the sporadic violence which has taken place make understanding these protests and predicting their future trajectory extremely difficult. After nearly two weeks, I am left with more questions than answers. As David Samuels has already pointed out on this blog, the largest protests in the major urban centers have been dominated by an assortment of middle class, educated youth. However, these youth are not the only ones protesting. In the days following last Thursday’s massive outpouring, many smaller protests occurred across the country. Many marginalized populations have added their voices to the growing cacophony. These smaller protests are driven by more local and historical grievances. For instance, in many of Rio de Janeiro’s peripheral neighborhoods and favelas (shantytowns), protests were not organized by middle class youth but by local working class poor who understand better than any other segment of the population the effects of rising transportation costs, non-existent or low-quality schools and health services, and a repressive public security apparatus. Many of these communities have been organizing, advocating, and protesting for such change for decades with little to show for it. Only with the expansion of activism and mobilization to the middle classes in the last several weeks have Brazil’s political elites begun to pay attention. What remains unknown is if these groups are actually part of the same movement, advocating for the same reforms, and if they will be appeased by the same concessions. Although these protests began with the 20 cent rise in bus fares, they have come to encompass much more. Some of the most prominent grievances are the corruption of public officials and the poor quality of public services. Instead of improving infrastructure for the health and education systems and providing affordable public transportation, politicians are accused of misusing public funds for their own personal benefit and that of corporations. A prime example is the exorbitant spending on soccer stadiums and other World Cup preparations which have outpaced budgeted expectations. Many of the most violent protests have occurred around the newly constructed and renovated stadiums which are currently hosting the Confederations Cup, a surprising development for a country obsessed with soccer and the World Cup. For more on this, see Diego von Vacano’s previous post. Looking more closely at any single issue area within the protest movement, the divisions are obvious. Regarding public transportation, the Free Fare Movement, which began the protests in São Paulo, is advocating for totally free public transportation in Brazilian cities. Other groups are demanding free rides just for students. Some are merely protesting for more affordable bus rates. On Monday, Dilma promised $22 billion to be invested in public transportation in Brazil’s biggest cities which will largely be spent by building more subways and improving infrastructure. Will this be enough to satisfy some of the protesters? It is difficult to know. What kind of violence is occurring? The role of violence in these protests cannot be overstated. The size and popularity of the protests themselves is partially a product of the violence which occurred at the first protests nearly two weeks ago. Videos and images of police brutality quickly spread through social media and emboldened a much larger set of protesters last week. Despite the fact that the vast majority of protesters continue to renounce violence, a very small portion of them have been able to provoke some of Brazil’s public security apparatus into violent action. Some individuals wish to engage in vandalism, looting and opportunistic violence for its own sake. There are also some radical protesters who may wish to provoke the government to overreact to further delegitimize the government and spread the protest movement. Both of these groups are present in protests around the country and, although in the extreme minority, have been able to derail otherwise peaceful demonstrations. For their part, Brazil’s public security institutions have a long history of using violent and repressive tactics against civilians that can be traced back to the military dictatorship (1964-85). However, their responses to protests have varied significantly. Countless protests have concluded without any violence. On the other hand, in last Thursday’s mass protest in Rio de Janeiro with an estimated 300,000 participants, I witnessed the military police and BOPE (a special forces unit trained in urban warfare), send a very clear and heavy-handed message to protesters about public order. As more marginalized groups continue to engage in protests, the public security apparatus’ leeway in dealing with these groups will likely be even greater. For instance, a protest in Complexo da Maré, a large network of favelas in the north of Rio, eventually led to a violent invasion of the community by BOPE forces and a several-hour shootout with local gangs. Thirteen deaths have been officially confirmed. Local residents are outraged and immediately began more protests against such abusive and indiscriminate violence. What will happen in the short-term? Since mass protests began, public officials’ responses have been largely conciliatory. The 20 cent rise in bus fares were quickly revoked. A proposed amendment to the constitution which would make investigation of public corruption cases private information and take them out of the hands of the Interior Ministry was voted down. On Monday, President Dilma Rousseff chaired a meeting of all the governors and the mayors of the largest cities in which they agreed to certain reforms regarding public transportation, the health and education systems as well as political corruption. It remains to be seen how adamantly protesters refuse politics as usual and such concessions from public officials. It is likely that the disparate groups within the protest movement will respond differently. My guess is that many of the middle class youth will be quicker to accept concessions and massive protests like we witnessed last week will fade. However, better organized social movements and activist groups have been reinvigorated and have a much longer battle in mind. What are the possible longer-term impacts? Overall, these protests are clearly a positive development for democracy in Brazil. There is a real opportunity to change the political culture if a focus on improved public services and greater accountability and transparency from public officials are taken up as the primary demands of a broad spectrum of society. However, violent escalation and a tendency toward fragmentation and polarization at the party level could derail these opportunities. Perhaps most importantly, now that specific promises have been made, the majority of Brazilians that support political reform must hold these politicians and parties accountable in next year’s elections. Finally, the protest movement itself must find itself a leadership and a way to transition toward supporting candidates and parties if they are not to go the way of the Occupy Movement in the United States.